After nine years of growing grapes we are excited to finally be producing our bottled wine. 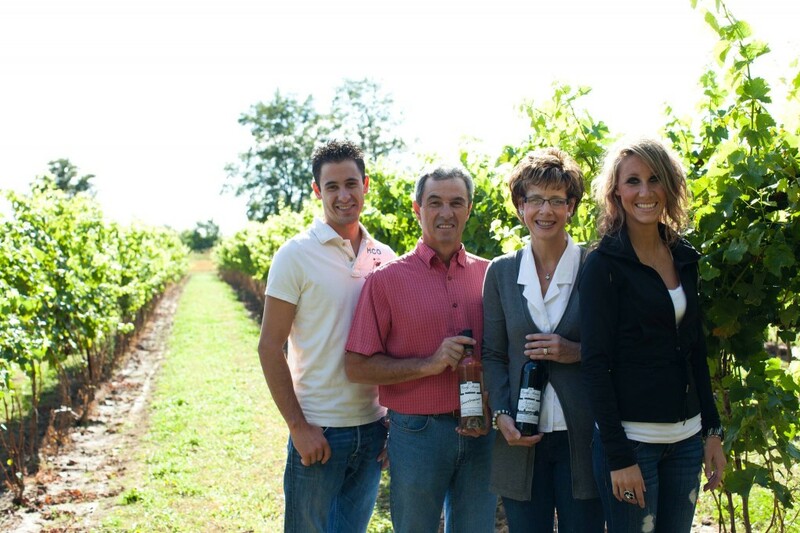 All our wine is from 100% Canadian grown grapes. Our vineyard sits on seven and a half acres of sandy loam soil which is perfectly suited to the success of our grapes. The warm summers and cool fall weather help to provide the perfect combination of flavour and body to our wines. Being located further inland from the lake allows us to get started for the growing season early due to the warmer temperatures. We invite you to come by for a sample of our wines, or take a stroll through the vineyard. What ever your pleasure we will always welcome you with a smile and an invite back. From our family at EA.